Just arrived! 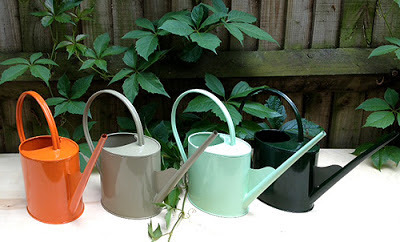 These Danish watering cans in lovely colours. They are powder-coated and available in orange, khaki, mint green and bottle green. We also have navy blue (which is not pictured here). 2L capacity. Height including handle: 27cm. 14.50UKP.